Three Tails Lizard (Jing Chok) Luang Phor Nai Wat Ban Jaeng. Phim Niyom. It won No4 Placing in Thailand Amulet Competition in year 2013. Attached with Gold Waterproof casing. Luang Phor Nai born at BE2446. He ordained as novice at the age of 12. He was the lineage of Luang Phor Suk Wat Makhamtao. He learned from Archan Yam Daeng which was the close disciple of Luang Phor Suk. Luang Phor Nai was the top maker of Lizard in Thailand. He passed away at BE2530 at the age of 84. 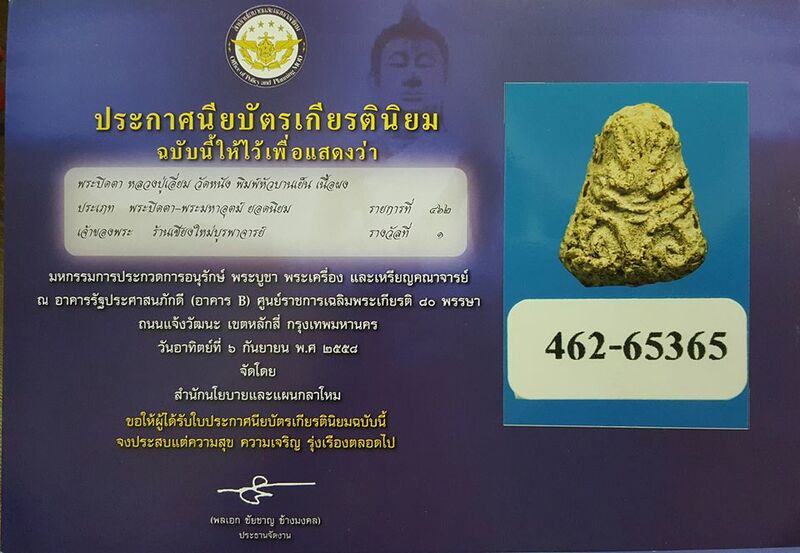 Pidta Mahasaneh Luang Phor Toh Wat Praduchimplee BE2518. Super Star in Luang Phor Toh’s amulets magazine. Nur Phong Bailan, made 3000 pieces only. 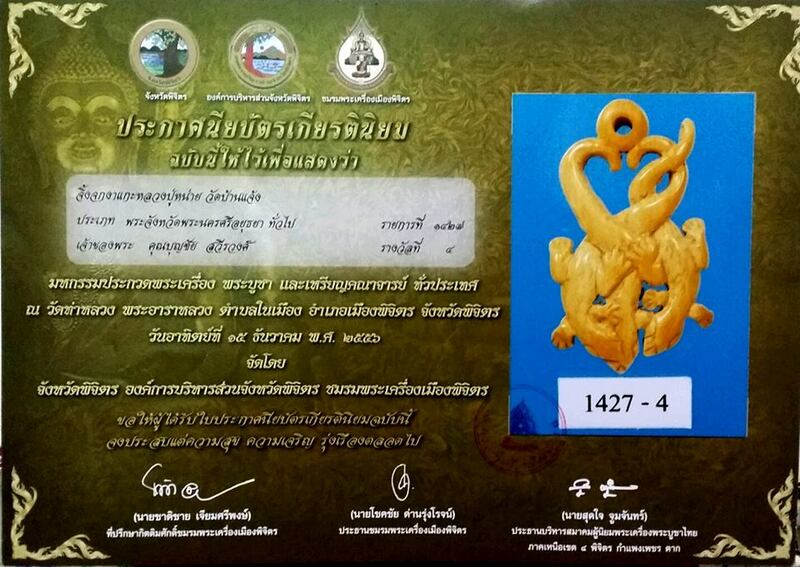 It won No2 Placing in Thailand Suratthani Grand Amulet Competition on 4th May 2014. Khunpaen Luang Phor Jarun Wat Phromburi BE2496. Mixed with powder of Archan Toh which given by Phra Rachamoli Wat Rakang, powder Luang Phor Derm Wat Nong Pho, powder Luang Phor Chan Wat Nang Nu, powder Luang Phor Ngern Wat Bang Klan, powder of Luang Phor Chey Wat Tha Khway, Joss Powder from different temples. Chanted by Luang Phor Chad Wat Bang Krabao. Then chanted again by Luang Phor Chong Wat Natangnok, Luang Phor Chad Wat Bang Krabao, Luang Phor Suang Wat Chipakhaw, Luang Phor Jai Wat Rung, Luang Phor Kaew Wat Soa Tong Thong, Luang Phor Mee Wat Khaosamokhon, Luang Phor Mo Wat Cantaram, Luang Phor Plang Wat Phiyo, Luang Phor Jarun Wat Phromburi & others, total 21 monks. It comes with Uamulet Authentic Certificate. 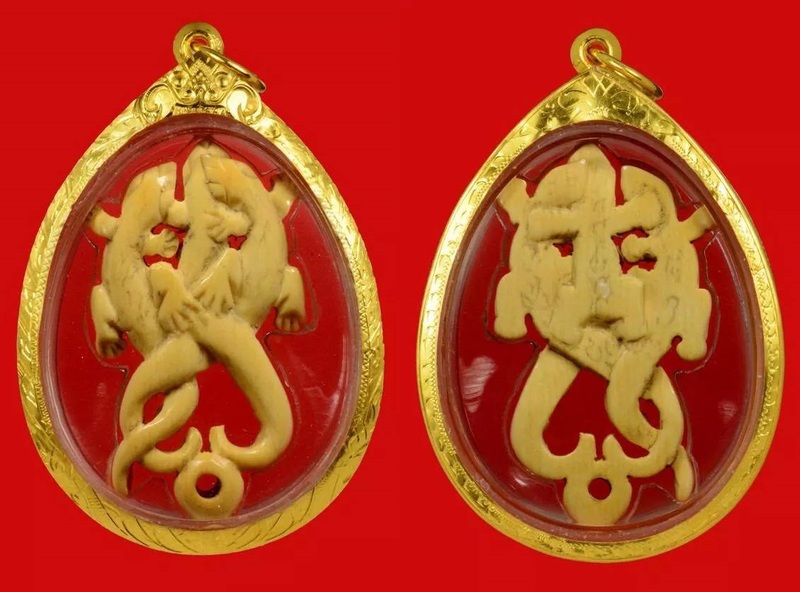 Roopmuen Daolit Yai, Luang Phor Toh Wat Praduchimplee BE2521-23. Nur Phong Kesorn. It won No3 Placing in Thailand ChaengWattana Grand Amulet Competition on 24th January 2016. Pidta Jumbo Sorng Luang Phor Toh Wat Praduchimplee BE2521-23. Nur Phong Tup. Jumbo Sorng has 3 types of material, Bailan made 34974 pieces, Kesorn made 3056 pieces and Phong Tup made 2700 pieces. 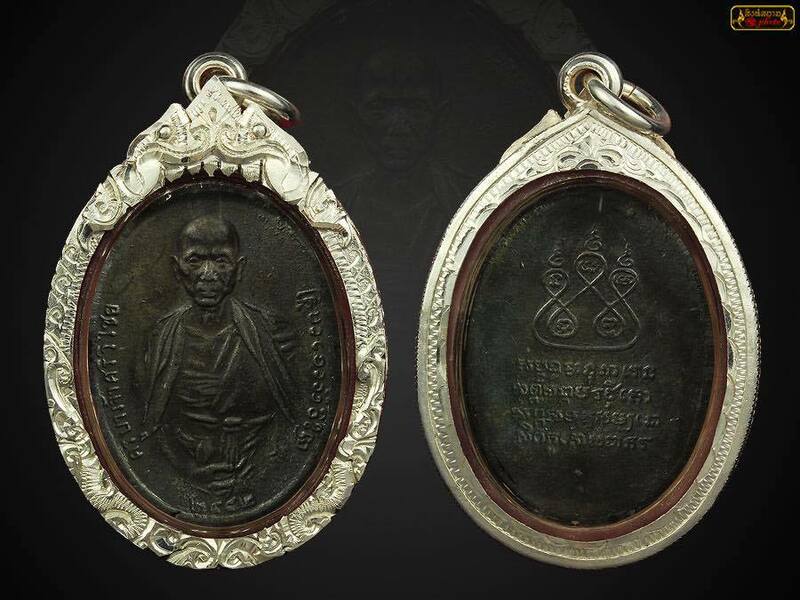 Luang Phor Toh keep this batch of amulet in his room and blessed for 3 years. It won No3 Placing in Thailand ChaengWattana Grand Amulet Competition on 24th January 2016. Pidta Phim Hwa Ban Yen Luang Phor Iam Wat Nang (Before BE2441). 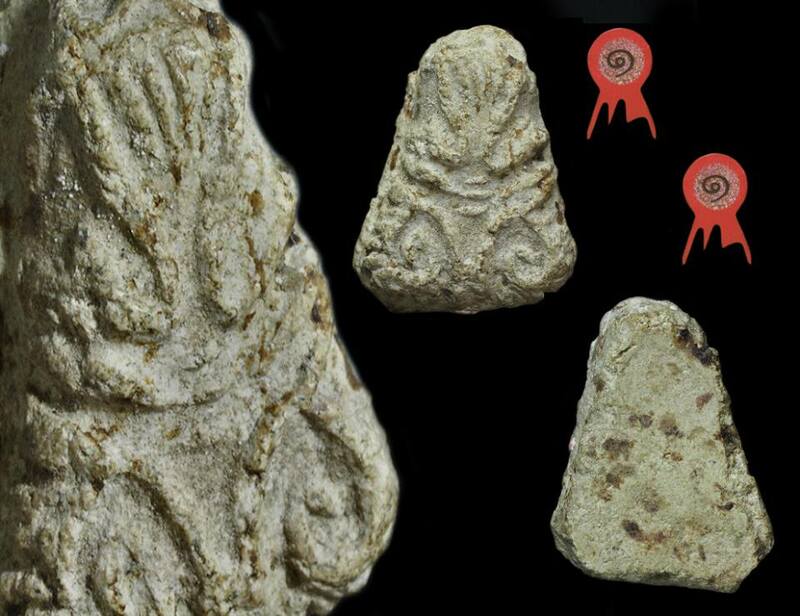 It won No1 Placing in Thailand Nakhon Pathom Grand Amulet Competition on 17th August 2014. It won No1 Placing in Thailand ChaengWattana Grand Amulet Competition on 6th September 2015 again. Attached with solid open gold casing. Luang Phor Iam chanted the seed of this flower and planted it. Everyday Luang Phor Iam will chant and water the plant. After 3 months this plant grow so nice and come out with a lot of flower then Luang Phor Iam dig up the whole plant and dry up the flower. Finally Luang Phor Iam use this flowers to made Pidta Hwa Ban Yen. Rian Luang Phor Mun Roon SithThatTho Wat BoromNiwat BE2517, Blok Niyom. Blessed by many dhammayut monks, such as Archan Fun, Luang Phor Waen, Luang Phor Tuer, Somdej Phra Sangkaraj Phra YanSangWor & Others. Blessed by Luang Phor Sim Wat ThamPhaPong for 3 months during Taimak in BE2517. Made 500 pieces only. 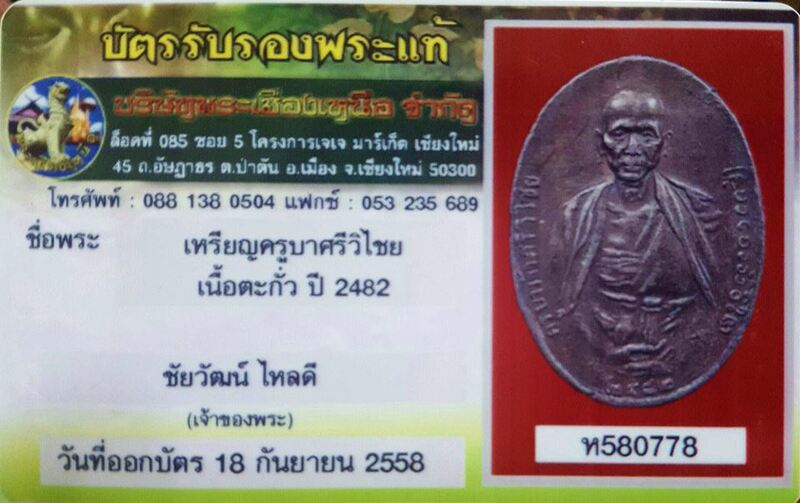 It won No1 Placing in Thailand Lampang Amulet Competition on 5th April 2015. First Batch Rian Luangta Maha Boowa Wat PaBarnTat BE2540. It comes with Uamulet Authentic Certificate.